There is no evidence that dragons ever existed. But that has not stopped mythology dreaming up quite detailed images of such beasts. And perhaps the most fascinating aspect of this is that dragons appear in cultural traditions that do not seem to have had much to do with each other until recent times. There are dragons in Chinese culture as well as in the European. These two dragons also have close relatives in places like Japan and Korea. 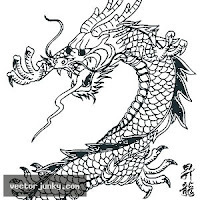 According to Wikipedia, Chinese dragons date back as far as the 16th century BC. Likewise, the European Dragon is thought to have roots back to the ancient Greeks and and before then to the roots of Indo-European culture. But that does not explain how the same mythical beast appears in different cultures independently of each other. At least one theory is that the Dragon is the creation of deep and universal, primal human fears. The revulsion that most people feel at the sight of the dragon’s reptilian fellow, the snake, seems to support this idea. The European unicorn, for example, does not seem to have an equivalent in other cultures, possibly because it is not an animal that arises from our fears. Perhaps the other most interesting feature of the dragons, is that this clearly impossible animal retain such fascination for more people. The word dragon still has opened and resounding association thousands of years after we stopped needing to be fearful of large reptiles.